This is excerpt No. 31 (of 45) from America’s Right Turn: How Conservatives Used New and Alternative Media to Take Power, by Richard A. Viguerie and David Franke. 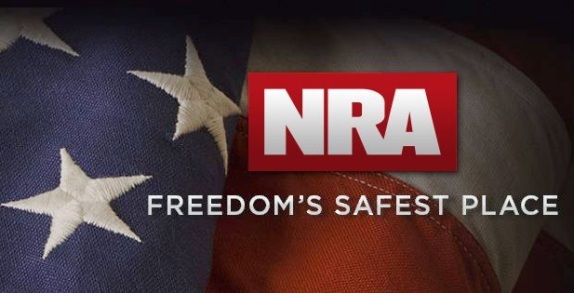 The National Rifle Association is one of the most successful lobbies in the United States. And it is rather unique among lobbies in that it does not seek to help the elites and private interests prevail over the individual citizen. Rather, it protects the public interest—your rights under the Constitution—by defending the Second Amendment from the gun-grabbers and gun-controllers. This is a conservative success story, and an alternative media success story. We interviewed their executive director to demonstrate what can be accomplished with determination and the right tools. Gun control has become a political “third rail” for the Democrats – an issue that can kill them at the polls. It did that to Al Gore in 2000, when the presidential candidate said he wanted to license all new handguns bought by Americans. Pretty much everyone, including most Democrats, agrees that the resulting gun-owner revolt cost the Democrats Tennessee (Gore’s home state), Arkansas (former president Clinton’s home state), and West Virginia – more than enough to lose the election for Gore. No need to blame Ralph Nader and dangling chads. The NRA’s biggest problem is the bias of the big media conglomerates. There’s no doubt about that. They are the single most dominant political player in our political system today, and they spew out misleading and false propaganda on the gun issue and on the NRA in general. To get around that, the NRA has been one of the pioneers in using every new and alternative media technology out there. In states like Tennessee, Arkansas, and West Virginia, gun ownership runs 60, 70, 80 percent. And the polls showed that up to 50 percent of union households that had a gun in it voted for President Bush as opposed to Al Gore based on the gun issue. But in order to create that level of activism, you’ve got to get the word out past the filter of ABC, NBC, and CBS. You have to go directly to the people. we put half-hour news documentaries on the air wherever we could buy time. They were moderated by Ginny Simone, our former NBC news anchor out of Albuquerque and Colorado Springs. Our own journalists, on the spot, reported on the gun ban in England, the gun ban in Australia, the gun ban in Canada, misleading Clinton propaganda. Where on NBC, ABC, and CBS did you hear how the politicians in Great Britain broke their promise when they said, “If you register your guns we’ll never ban them”? That’s a big story – a huge story. Or how, since that gun ban, there’s been a 50 percent increase in gun crime on the streets of London. Yet somehow the so-called mainstream media didn’t see fit to report that at all. The only way we can get this news out is to buy time and put it in our own news documentaries. And we spent $25 million on these half-hour documentaries, going straight to the American people. I don’t know of any other organization that has bought $25 million in airtime like this. And I believe that was one of the major factors in the election. The Clinton administration was using all of the major media conglomerates against us. They basically ran the “Million Mom March” out of the White House, with the willing collaboration of the major media. We had to buy airtime to present our side against the Clinton administration. Charlton Heston would go on and say, “Mr. Clinton, when you know it’s not the truth, it’s a lie” – about whether he was prosecuting violent criminals or not, and whether he was using this issue politically. And President Clinton – remember? – ran down to the Rose Garden and badmouthed me, shaking his finger and everything else. That was when the debate was joined, and the American public got a fair debate between the NRA and the Clinton administration. But that debate would not have happened without the NRA buying media time. I would spend entire days totally committed to talk radio all over the country, ranging from small towns to big cities, local and syndicated. We did hundreds of talk radio shows; in fact, some days I would do 25 shows, starting at 5:00 in the morning and running through 10 o’clock at night. It was just back to back. Media consultants Craig Shirley and Diana Banister spent weeks doing nothing but lining up talk radio for us – because it reaches people. Initially the only major bookstore chain that would even touch our book was Crown. So we went to some independent bookstores with the publisher, Regnery – and Regnery was great on this – and said, “Look, Wayne will come out there to do a booksigning. Will you take several hundred copies of his book if he comes out?” And we went to Nickelby’s in Columbus, Ohio; then to the Tattered Cover in Denver. Well, suddenly, there were 600 people lined up in the streets of Denver to buy that book, 400 at Nickelby’s. Then we got Barnes & Noble to do it in a couple of their mall stores, and you would have 400 or 500 people lined up all the way down the mall. Well, you don’t have to do that too many times before you’ve got Books-a-Million, Walden, all of them on the phone saying “Give me that gun book!” Because ultimately those stores were making their entire month’s rent on one night – by selling that book. And it got on the New York Times best-seller list without a single national TV interview. Once again, we bypassed the filter of the major media, going straight to the people. They learned through publicity generated by press releases from our people and from our consultants, Craig Shirley and Diana Banister. And we let our members in each area know through our magazines and special mailings to them. I think the NRA proves that if you plant your flag and fight on principle, people will follow you. You don’t have to “go along.” You don’t have to compromise. We knew where the American public was – they were with us! – so we used every communication technique out there to reach the public. When we could get the mainstream media, we did it; when we could use alternative media, we did it; when we had to bypass the mass media, we did it. I spoke to you soon after the so-called “Million Mom March” in the spring of 2000. At that time you said that you had gained over a million members in the previous 12 months, and you were the fastest growing association in the country at that time. Now we’ve got a Republican in the White House, and with that I think the threat to the Second Amendment is perceived, anyway, to be lessened. Has your membership growth kept up or has it slowed down a bit now with a Republican in power? Our membership is hanging right around 4 million members. I consider that a tremendous accomplishment. I was worried about a big drop-off because of apathy. I thank people all over the country for realizing it’s important to remain vigilant. Meanwhile, the last Million Mom March missed the mark by about 999,800 marchers. They’ve laid off 30 of their 35 employees. But the NRA is thriving because ultimately people in this country believe they have a right to own a firearm. Multiply those 55 to 60 pieces of direct mail by 4,300,000 members and you have somewhere in the range of 236 million to 258 million mailings to members in a year’s time.